Write, edit and/or distribute all professional and technical communications on behalf of the school, its president and its board. Maintain high standards of integrity in publications and media. Promote the nonprofit, private institution in the media, and position it as the premier international school for marine training. Modernized the media plan through a shift from print-heavy advertising to Internet-focused marketing, which better reaches the school’s demographic. Instituted first social networking platforms including Facebook, Twitter, LinkedIn, YouTube, blogs and wikis which increased website traffic by more than 1,000%. Developed first profitable consumer-focused series of educational workshops known as the extension program. Generate workshop topics through market research, create curriculum overview, compile contact information for thousands of prospective consumers and market series through direct mail and Internet. Facilitated the legislative campaign for degree-granting authority through filings and hearings with the Department of Education and accreditation agency. 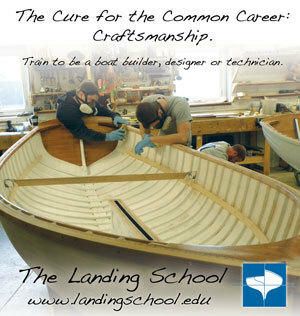 Established the school in the media and the marine industry as the first of its kind to grant post-secondary degrees in boatbuilding technology. Assess effectiveness of current curriculum and course structuring regularly through student interviews and market research. Develop short- and long-term growth strategies that remained mission-focused. Spearheading the first online education platform for the school.